Bluetooth Wireless Connectivity – Make and receive calls through the CB radio and most Bluetooth® phones. Caller ID with Voice – Voice and number display announcement of incoming call. Text to Speech Conversion – Have emails read through CB with downloadable app. NOAA Weather & Emergency Alert – Be prepared for storms and emergencies with built-in NOAA radio receiver with alert. 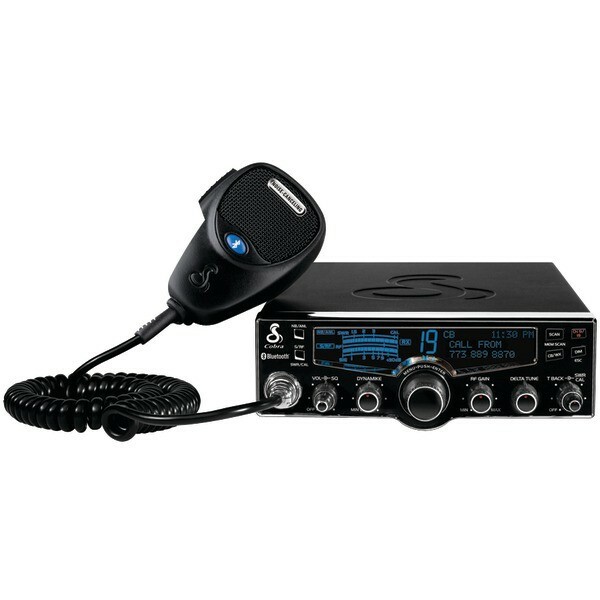 The Classic™ CB Radio with Bluetooth® offers professional drivers one more way to communicate safely and easily with the patented first-ever CB radio with Bluetooth® wireless technology. The Bluetooth® feature allows drivers a better way to have phone conversations on the road because calls to your mobile phone are synched with the CB radio. A noise-canceling microphone allows calls to be heard loud and clear, even over a noisy engine. Incoming audio is routed through the radio’s speaker making it easy for the driver to hear who is calling with caller ID and the phone conversation. The system provides one-touch protocol for compliance and gives the driver’s the ability to stay focused on the road by answering, placing and terminating calls with one-touch operation. The radio is built on the 29 LTD Classic chassis and has all the features of the 29 LX.